The chain of responsibility for the attempt to kill Arkady Babchenko reaches into the Russian security services, according to Ukraine. But for the moment you have to take their word for it. More than a century ago, Sherlock Holmes faked his own death at Reichenbach Falls. What followed was widespread uproar and consternation. Arkady Babchenko is now having a Holmes moment. He's at the centre of an international controversy involving an assassination plot, fake news and secretive security services in Ukraine and Russia trading charges and insults. Babchenko is a Russian journalist and a critic of Russian President Vladimir Putin, now in exile in Ukraine, who was murdered on May 29 and resurrected on May 30. 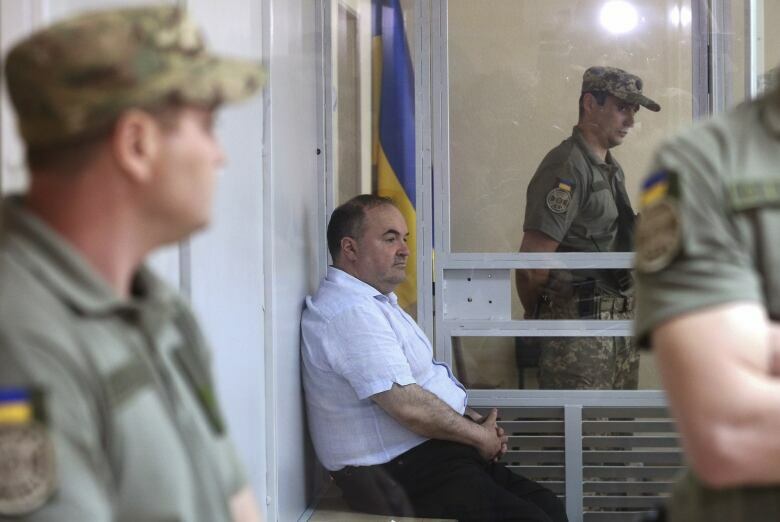 It was, as he and the Ukrainian security services admit, an elaborate scam to entrap the chain of people who had ordered a hit on Babchenko. The chain reaches into Russia and its security services, according to the Ukrainian security services. But for the moment you have to take their word for it. The staged death was theatrical and lurid, complete with the blood-stained corpse shot three times in the back, photographed for wide media distribution. The blood came from a pig. Babchenko was carted away to the morgue, where he watched the announcement on television of his own death. The next day Babchenko reappeared, smiling. His death became fake news. The operation was roundly criticized by organizations like Reporters Without Borders. It expressed "indignation" at the Ukrainian security services for its "manipulation" in staging the scam and for using a journalist in a fake story. The International Federation of Journalists used the word "intolerable." With the profession under fierce attack from leaders like U.S. President Donald Trump, this fake news, with a journalist at the centre of it, could become a millstone. In Moscow the reaction in the Kremlin-loyal media was positively gleeful. 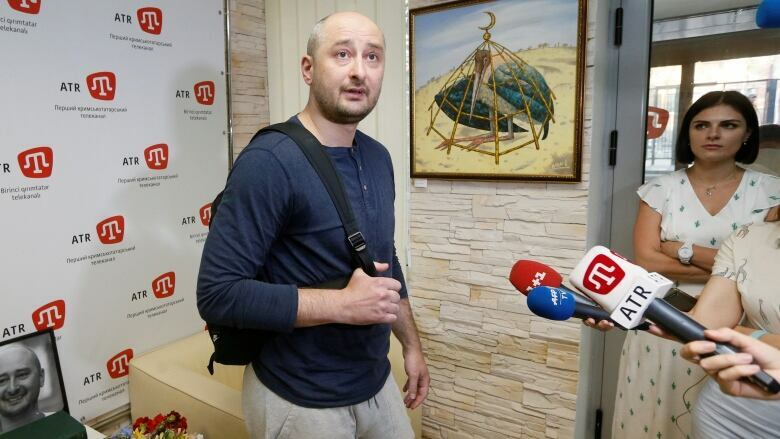 "Babchenko caps a series of miraculous resurrections in recent weeks," a host of Channel One, the main TV channel, said on air. "It follows first the children supposedly poisoned by chlorine gas in Syria, then the Skripals in Salisbury." The former spy Sergei Skripal and his daughter Yulia were poisoned in Britain on March 4 with the nerve agent Novichok. The British government has blamed the attack on Russian security services. Others, like Alexander Kots, went further in the newspaper Komsomolskaya Pravda. "In their desire to slander Russia, the Ukrainian special services know no limits, and so now there will be less doubt about the fact that the Boeing MH17 [hit by a missile over eastern Ukraine in 2014, killing all 298 people aboard] was shot down by Ukraine." That's a breathtaking variation on the Big Lie, coming just days after an international commission of investigators concluded that a Buk missile launcher belonging to the Russian armed forces was moved into eastern Ukraine, fired on the plane by separatist forces who had unleashed a civil war, and then moved back into Russia. Another journalist, Alexander Minkin, described the Babchenko affair as "the greatest gift to the Kremlin" in an article in Moskovski Komsomolets, allowing it to refuel its tested engine of disinformation, distortion and obfuscation when faced with uncomfortable facts and international accusations. Babchenko himself is a talented, but harsh and divisive, figure. 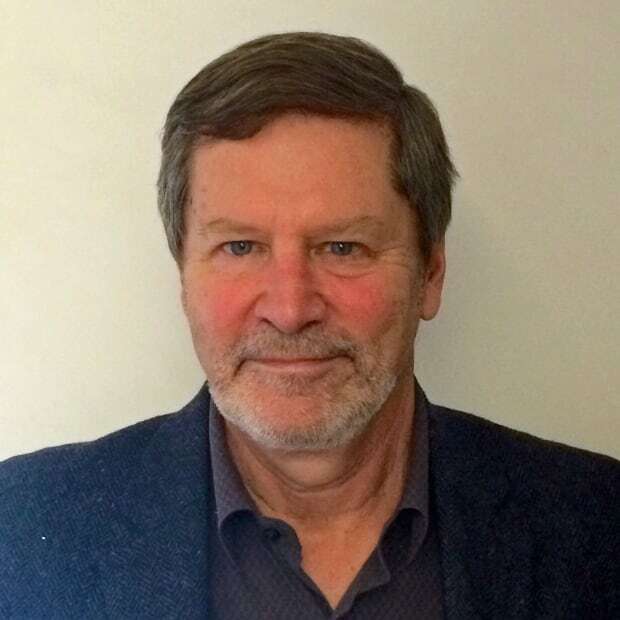 He presents himself on his Facebook page as "a soldier, a veteran, a war correspondent." He covered the Russian wars in Chechnya and wrote a book about them. He's a ferocious opponent of Putin and all his works. In December 2016, when a Russian military plane crashed, killing all 64 members of the Alexandrov Armed Forces choir who were on their way to entertain Russian troops in Syria, Babchenko said, "I have no sympathy, no pity." They were, to him, agents of Putin's system. He became persona non grata. A couple of months later he fled Russia, settling in Prague, then Tel Aviv and finally Kyiv. In the modern looking-glass world, much depends on who is looking in the mirror. Seen in Ukraine, the fake assassination is a triumph. 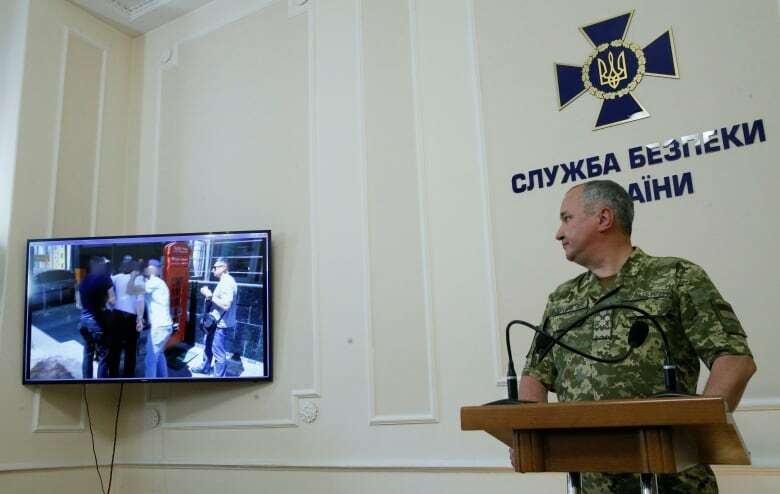 The boss of the beleaguered Security Bureau of Ukraine (SBU), Vasyl Hrytsak, said the plot was real and Babchenko's death was avoided probably only because the hitman turned double agent for the SBU. Hrytsak also said the fake murder unlocked the organizer's lips and he delivered a new hit list with 30 names. "He said it is necessary to exterminate — just think of the number! — 30 people on Ukrainian territory. … We know the names of some of the potential victims, but I won't disclose them," Hrytsak said. The man fingered as the organizer, Borys Herman, went on trial almost immediately, on May 31. He's Ukrainian, the acting director of a Ukrainian-German arms manufacturer, and he once worked in the Russia-friendly Party of Regions. So proud were the security services of their success that they released a video of the $20,000 payoff to the "hitman." In a further bizarre twist, the hitman then outed himself on Facebook as Oleksiy Tsymbalyuk, a priest and former fighter in the civil war in Ukraine's eastern region of Donbass that has killed more than 10,000 people. The fact that the known heavies in this show are, so far, all Ukrainian does make the Kremlin's job of mockery and denial easier. Still, for the Ukrainian services, the fake killing is more than a triumph, it is a relief. The police have been heavily criticized for failed investigations of several political assassinations, including that of a former Russian MP who fled to Kyiv hoping to find safety. For politicians right up to Ukrainian President Petro Poroshenko, it's a victory to trumpet in the long war of attrition directed by Russia in eastern Ukraine. For Babchenko, the affair has become a headache. Alexander Michailov, a Russian major-general in the security service, the FSB, dismissed him as simply "live bait" in a scam by the Ukrainians to smear the Russians. Even Babchenko admitted doubts to that effect before concluding he really was in danger. True to his combative nature, as the questions and criticism poured in, he lashed out. He denounced "moralizers" on his Facebook page, and said his goal was "to die at 96 while dancing on Putin's grave." He was particularly angry with British journalists, telling them, "Go f--k yourselves. If you really want to be useful, you can give me a British passport." Instead, he has accepted the offer of Ukrainian citizenship. One friendly Ukrainian MP, Anton Gerashchenko, said that, like the fictional Sherlock Holmes, Babchenko might go on to "effectively investigate difficult and complicated crimes." That wasn't the real goal of Holmes's creator, Arthur Conan Doyle. He had grown sick of his character and wanted to ditch him. But Doyle could not bury Holmes. And Babchenko may find he cannot bury his role in the fake-news assassination.